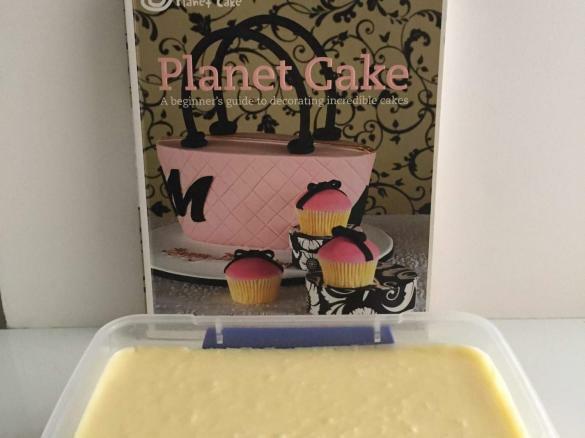 Planet Cake Ganache by _thermotash. 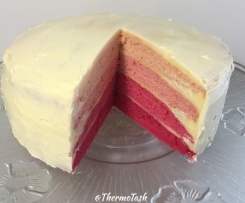 A Thermomix <sup>®</sup> recipe in the category Baking - sweet on www.recipecommunity.com.au, the Thermomix <sup>®</sup> Community. 10. Transfer into bowl/container with the rest of the white chocolate ganache and allow to cool completely and then leave to set overnight. This recipe makes a large amount of a thick ganache to give you more than enough to cover cakes for a perfect smooth finish for fondant. I converted the recipe into two batches to ensure the chocolate chops evenly and also to minimise the amount of air bubbles in the ganache. You can keep it in the fridge for a week (unless your cream was close to expiry). When taken out of the fridge the ganache is too hard to spread. Reheat in small amounts in the microwave for 10 seconds, stir and repeat as needed. If you want a dark chocolate ganache use 1200g dark chocolate and 600ml cream. Dark chocolate ganache is more stable when making intricate cakes.